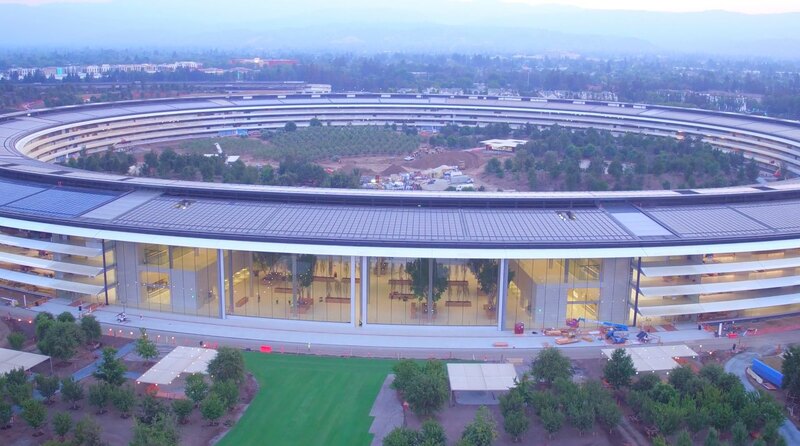 Drone pilot Duncan Sinfield has published new birds-eye footage of Apple Park, the iPhone maker’s new multi-billion dollar ring-shaped headquarters in Cupertino, California. Captured in late-August, it provides an overview of the landscaping work and construction progress at the massive site as the company continues to put the finishing touches on the main ring-shaped building. The entrance to the underground Steve Jobs Theater, basically a 1,000-seat auditorium for future Apple events and presentations, is coming along nicely. An extended-length version of this video in 360 degrees can be watched on YouTube in Chrome because Safari is currently incompatible with YouTube’s 360-degree video standard. Alternatively, watch Duncan’s panoramic video in the YouTube app. Simply move your device around to rotate your view inside of the 360-degree video.